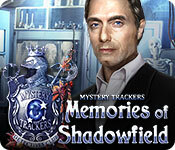 Our Mystery Trackers: Memories of Shadowfield Walkthrough is waiting to guide you through the mysteries of your mind!!! Use our easy to follow instruction & colorfully illustrated screen shots to help you uncover the mystery behind the disappearance of Ann McPherson. Be warned this is no ordinary case, as you are suffering from severe nightmares and significant memory loss. But have no fear because with the help of our walkthrough guide, Mr. Jenkins & your good buddy Elf you will be fully prepared to solve this missing person’s case. Explore the inner depths of your mind, because it is in there that the secrets of this case are found. Waste no time and get in on the mystery!!! We hope you enjoy our Mystery Trackers: Memories of Shadowfield Walkthrough. A new addiction is waiting to be acquired! 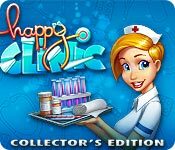 Happy Clinic is the latest & greatest time management adventure waiting to engage you in unique and challenging activities. Get your medical career in gear as you progress through international hospitals while ensuring the highest quality healthcare. Treat and diagnose disease and ailments while creating a better environment for the ailing. But expect the unexpected as you encounter many unique and creative methods for patient care. You will not be disappointed in this gem of an adventure! Take a chance and get in on the fun! We hope you enjoy Happy Clinic! Never fear Rescue Team 7 Collector’s Edition is here to save you from the summer doldrums! Jump into 70 levels of pulse pounding adventure as you rescue townspeople, needy animals, maintain and procure resources and rebuild communities. Develop your strategy as you explore the crisp graphics and animation as you delve into the havoc left behind by Mother Nature. There is a method to this madness after all, as each building you construct will provide certain benefits & resources that will allow you to complete your mission in an efficient and timely manner. Hurry and join the adventure there are people, animals and townships waiting on you! 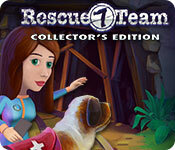 We hope you enjoy Rescue Team 7 Collector’s Edition! Need to relax and free your mind? 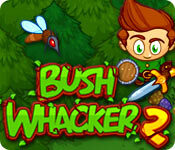 We’ve got the game for you Bush Whacker 2! This totally addictive light-hearted and fun game will satisfy your desire. Endless adventure is waiting if you dare. Enjoy pastimes like whacking bushes – fishing – hunting – adventuresome quests and a plain and simple good time with this sweet indulgence. Treasure is yours for the taking as you attempt to help the natives solve their quests. Creative & interesting puzzles abound to keep you on your toes. Explore to your heart’s desire in this awesome adventure quest! We hope you enjoy Bush Whacker 2! Our Saga of the Nine Worlds: The Gathering Collector's Edition Walkthrough is ready to help you save the world. Gather the best soldiers available as you and your princess embark on a journey of a lifetime; save the world and Midgard from the ominous dragon attack. We've laid out easy instructions and hidden object area and mini game tips & solutions; we are here for you every step of the way as you traverse this quest of survival, hope and humanity. Keep your head about you and move with no fear as you have been tapped by the gods to spearhead this modern take on a Norse mythological fable. 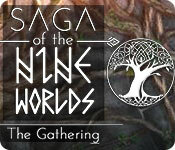 We hope you enjoy our Saga of the Nine Worlds: The Gathering Collector's Edition Walkthrough! A classic fairytale gets a new and exciting twist in Bridge to Another World: Escape From Oz Collector's Edition. Travel to Oz in this whirlwind adventure as you and Toto have been swept away in a disastrous tornado that has brought you to another dimension. Instead of encountering the witches…you deal with a wicked wizard – who assigns you tasks in order to aid your trek home! Be nimble and be quick because there is competition on your heels. There are others that are trying to beat you to completion of your tasks & if they do they will thwart your ability to return home! But never fear you are provided assistance on your journey from Toto and Frank. Delve into the well-crafted hidden object areas and the fun mini games as you race to return home! 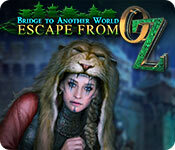 We hope you enjoy Bridge to Another World: Escape From Oz Collector's Edition. Summer is here and so is your newest adventure, Vacation Adventures: Park Ranger 6. Welcome to Pinecreek Hills where the Rangers have returned and are offering up some old favorites with some new flair. Its Conservation Challenge year and Pinecreek is beckoning you to take advantage of the opportunity of a lifetime. Enjoy this straight forward and challenging hidden object game where you can pour over the attractive scenery and find the craftily hidden objects as well as engaging in the numerous mini games sprinkled throughout. Vivid graphics, various wildlife and natural sceneries will whisk you away on a virtual vacation. Get in touch with your wild side as you explore fish, hike and navigate trails – this latest episode of the beloved series does not disappoint! This game is fun for the whole family; so jump on in and enjoy the vacation of a lifetime! 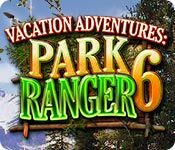 We hope you enjoy Vacation Adventures: Park Ranger 6! 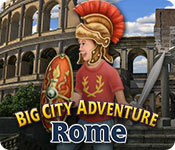 Walk the streets where gladiators walked in this hot new adventure, Big City Adventure: Rome! Venture through the City of Remus and Romulus as you navigate 120 rounds of pure hidden objects and mini game challenges. Collect keepsakes along the way as you explore the sites. This game is for the true hidden objects adventure lover! Don’t get caught up in the drama and back and forth. Just enjoy your virtual vacation as you visit tourist hot spots such as the Colosseum and the Forum, find your items and learn interesting facts along the way! With its beautifully cultivated graphics this game is fun and exciting for people of all ages! Take a chance and enjoy the trip! Buon Viaggio! We hope you enjoy Big City Adventure: Rome!